What else is there to do on an August afternoon in Florida other than hang out by the water? Hula Bay Club gives you the fun, waterside atmosphere you have been looking for. Not to mention, their food is eclectic and delicious! While in Tampa this past weekend, we experienced Hula Bay for ourselves. Visiting by boat, we were quickly greeted by the dock master. From our boat, we could feel the funday vibe coming from Hula Bay. 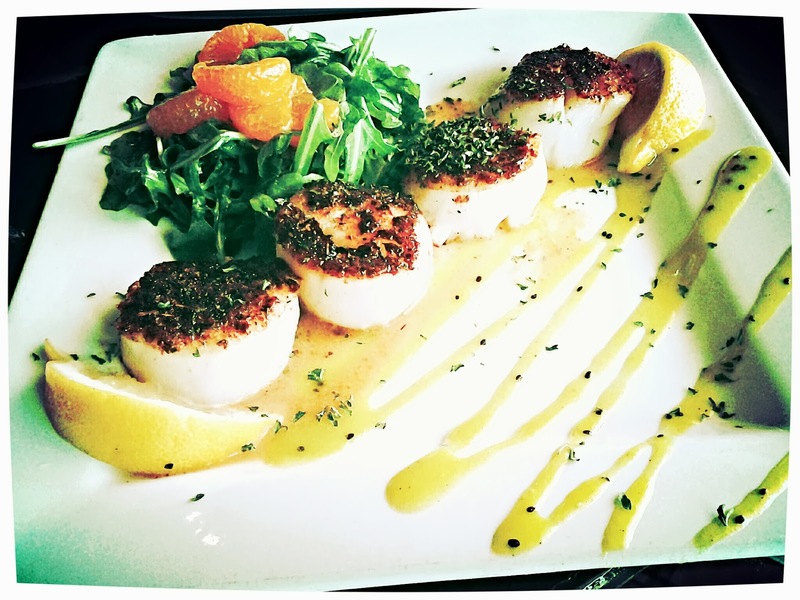 Try the Diver Scallop appetizer, you won't be disappointed. After a few ice cold Pacifico beers, we wanted to eat a bite. 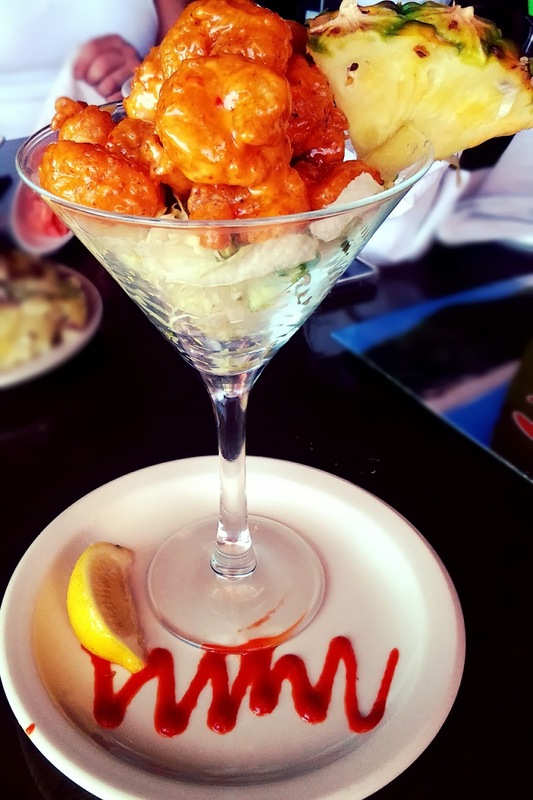 The menu includes savory sushi, mouthwatering burgers and an array of seafood dishes. 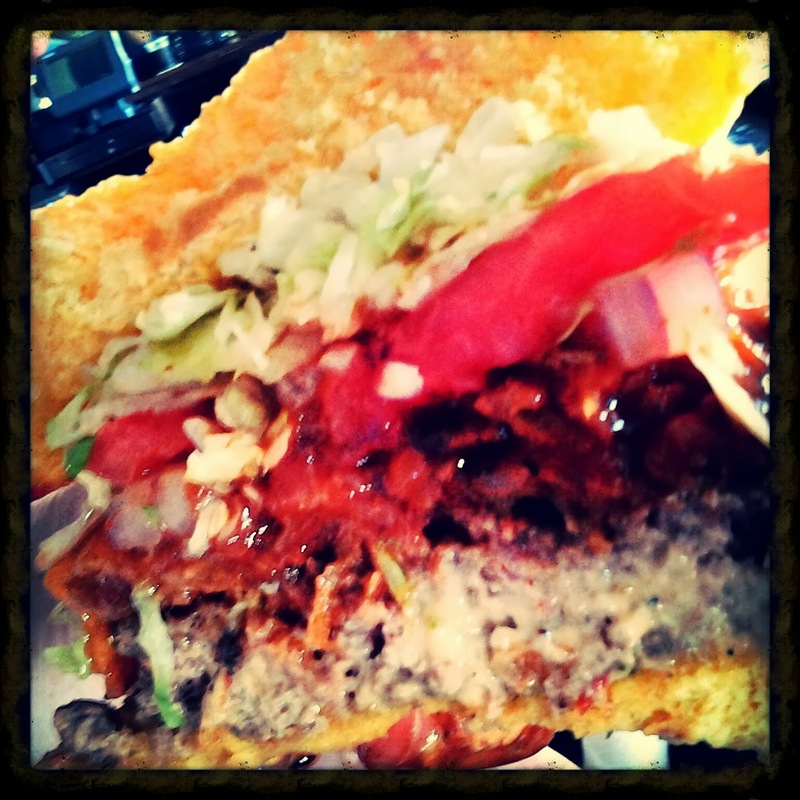 We went with one of the island burgers- the Smokin' Longboard BBQ. This burger included smoked chili mayo, applewood bacon, citrus BBQ, chedder and a mound of onion straws. Click here to view the menu. 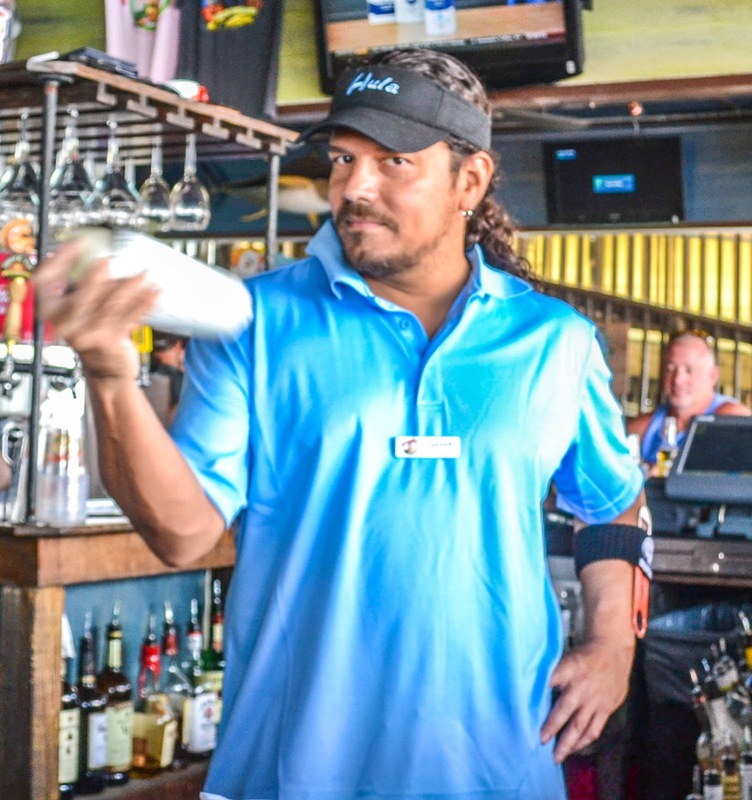 The outside tiki bar is named after the legendary surfer Duke Kahanamoku- Duke's Retired Surfer's Island Bar. Duke was an Olympic gold-medalist swimmer credited to introducing surfing around the world. "Duke once said 'Out of the water, I’m nothing.' We feel that way, too, that’s why at The Hula Bay Club, the water is always a part of everything we do, whether it’s our Sunday pool parties, signature seafood dishes or the heavenly waterfront view we and all of our guests get to admire every day." 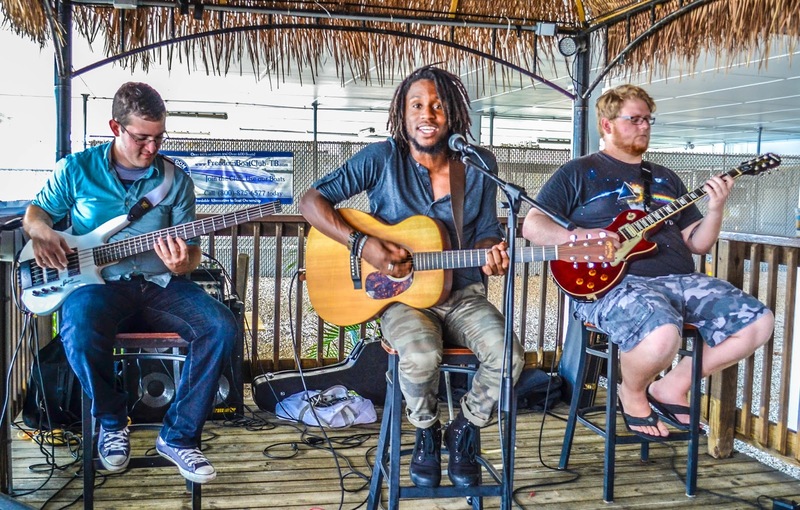 While there, Hula Bay had the talented Evan Taylor Jones singing island music and our favorite songs, his way. One of my favorite renditions was Evan's version of the famous Elton John song- Rocket Man. Caesar shaking up my Foursquare special. 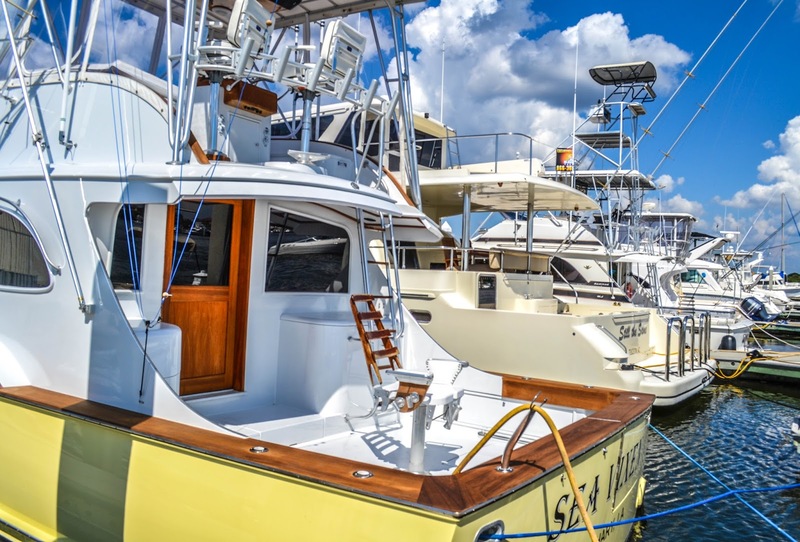 Hula Bay Club is definitely a Florida spot you need to experience, either by boat, car or bicycle. They have live music every night they are open! 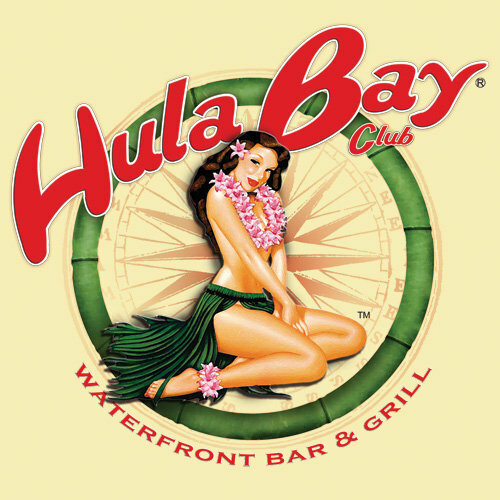 If you are a first time visitor make sure you check-in to Hula Bay Club on Foursquare to unlock a special! 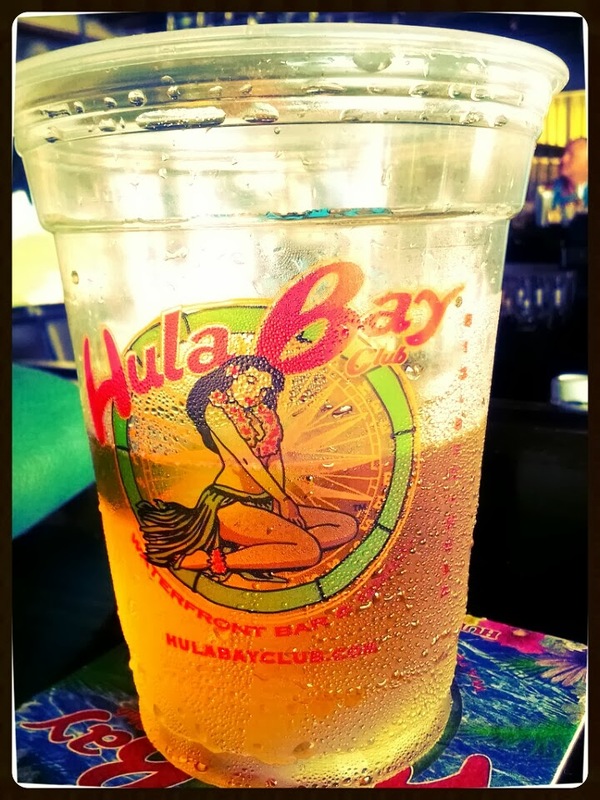 Hula Bay has a super happy hour from Tuesday to Friday from 4PM to 7PM. They offer $3 Pucker Vodka, Cruzan Rum, $2.50 Bud and Bud Light, and $5 for select appetizers. Neon Leon's has the atmosphere you have been looking for! Are you tired of eating restaurant meals that are boring and uneventful? Neon Leon's Zydeco Steakhouse has just what you are looking for- live music, Mardi Gras beads and delicious Cajun food! Big Dave and Mitch singing a fun country song! Jump on stage with Mitch and Big Dave to sing your favorite song. Flavorful crawfish available while in season. Located in Old Homosassa, Florida, Neon Leon's has a lot to offer Citrus County. The staff is friendly and energetic. And the owners, Mitch and Lorriane Simmons, are always giving back to the community. During scalloping season, bring in your cleaned scallops and Neon's will cook them for you however you like- blackened, fried, seared or broiled. Neon Leon's is named after Leon Wilkeson from the band Lynard Skynard. Leon was Mitch Simmon's uncle. Everywhere you look inside the restaurant, you will find Lynard Skynard memorabilia. Rock N Roll Brew is delicious! They even have a draft beer named after Uncle Leon called "Rock N Roll Brew" made by Coors. If you are looking to try out this delicious, fun Florida hot spot you better call ahead and make a reservation. Neon Leon's is always packed out. Leon Wilkeson hat worn during Lynard Skynard concerts. Just call (352) 621-3663 to make your reservation. Neon's provides customers a full menu and a full liquor bar. From September 23- October 20, Neon Leon's is teaming up with other Homosassa restaurants to offer an International Ethnic Festival. Each week, the restaurants will provide dishes from around the world: Irish, German, Italian and Polish. Find out more about Nature Coast River Events by clicking here. Neon Leon's Zydeco Steakhouse is open from Tuesday to Sunday, 11:00 AM to 9:00 PM. Check in with them on Foursquare.